In today’s fast-paced world, companies continue to look for new ways and tools to keep up with their business. Intranets have some considerable potential to improve communication and knowledge sharing among staff, help their job performance, and enhance workplace productivity. However, plenty of standard intranets are overly complicated, outdated, or constantly in-progress. More importantly, IT departments don’t have the time to create custom solutions, especially one that’s manageable by HR or other contributors. And in the end, it’s not technology, but humans. How about understanding of an effective organizational change and management? I’m sure you have heard the wise old saying, “You have to go slow to go fast”. There is a reason why it still sticks around. It isn’t just enough to tell employees that they’ll have to do things differently and expecting them to do so. Change takes time and time is precious. How to overcome these challenges and use your time wisely? Stop focusing on the wrong things. Do what matters and make your time worthwhile, we can help you with that. We have hundreds of intranet projects under our belt and therefore a deep understanding of your pain points and goals. Bye bye time eaters, say hello to Valo Intranet! Here’s the deal, we take care of technology while you can focus on people and change. 1) The best intranet.  Valo is the winner for the Best Intranet/Extranet Award 2017 & 2016 at the European SharePoint and Office 365 Community Awards. Our winnings were announced surrounded by the leading influencers, developers and decision makers involved in SharePoint and Office 365 from around the globe. It’s great to see the hard work is paying off! 2) It’s just simple. Living in a complex world, people love simple things. So do we! Our customers praise Valo Intranet for how it is so clear, intuitive, and easy to use. End users know how to use it without reading a heavy product manual or sending support tickets to intranet admins. Convenient and pleasant for everyone, with less hassle. 3) Boosts user adoption. Well-designed intranet experience guarantees user-friendliness that makes usage enjoyable and enhances user satisfaction, through innovative useful functionality. Valo provides the best possible intranet experience using SharePoint. 4) Works with every device. Valo Intranet has a beautiful user interface with a fully responsive layout for mobile access. Keep employees on the road updated. 5) Your company’s look & feel. Choose from the 3 attractive Valo UI themes branded as your company. Branding is an easy way to strengthen corporate culture, support brand identity and make your intranet a “destination” not just a “site.” Use it to your advantage! 6) All features you need. Don’t re-invent the intranet wheel and start from the scratch, it’s just waste of time and money. Valo has all intranet core features and capabilities you need! For example targeted news, blogs, videos and modern functionalities like social hub, just to name a few. Besides this, Valo fits perfectly into your Office 365 and you can quickly and easily get to your intranet using the Office 365 app launcher, also known as the waffle button. 7) Fast to deploy. Valo is an intranet-in-a-box and a ready-to-go, so you can start using it immediately. It’s your sandbox to play around in. Because seeing is believing, it also helps you to change peoples’ mindsets about what an intranet project actually is – it’s the level of long term internal resources and commitment required to ensure its success. The intranet launch day is only the beginning of a journey to change how employees think and behave. With Valo, your new intranet can be live and launched within 1 week, so save your energy and spend time on the right things. 8) Affordable pricing. The Valo license is perpetual, a one-time fee. Licensing is based on the size of the company and chosen add-ons. This way Valo is suitable for small business as well as big corporations. By choosing all add-ons, you’ll get a discount. Request a quote now! 9) In your own language. Valo is a multilingual intranet with 17 different languages to choose from. We provide Valo Intranet for example in the following languages: English, Spanish, German, Dutch, Norwegian, Swedish, Icelandic, Finnish, French, Italian, Portuguese,.. Imagine your intranet with fully translated into your native language, that’s awesome! 10) Stays evergreen. Guess what, it’s okay not to know what the future holds. An organization and its people, as well as tools, need to continually improve and evolve. That’s why we offer the software assurance contract. Valo Fresh subscription keeps your intranet always up to date. Our maintenance service includes free software upgrades, readiness to respond quickly to change and opportunity, and it guarantees the platform compatibility for ever-changing SharePoint and Office 365. Peace of mind as a service. You deserve it! It’s okay not to know what the future holds. A modern intranet supports you to develop a culture of continuous improvement to better meet the needs and moving targets of the business. 11) We love feedback. Our passion is to have an intranet solution that always keeps getting better in this fast paced world: releases are taking place 4 times per year with new hot features, bug fixes, and who knows what more. We want to make Valo even better, continuously, with you! We love to hear your feedback and ideas! 12) Technically strong. Valo Intranet is featured by Microsoft. Valo follows Microsoft’s latest recommendations how intranets should be done.  Our highly skilled and agile development team is working closely with the latest technologies of SharePoint. Keep calm and be on the front line with us. 13) Be in safe hands. Our local Valo Partners are trained to help customers with all Valo Intranet related things. They can provide business and technical insight, guidance and support for example when planning the intranet launch day, creating a digital workplace strategy, training employees, involving stakeholders, and facilitating workshops. You can rest assured that you’re always in safe hands. 14) Experience matters. We all know the difference between a great experience and a bad one. We go the extra mile for our customers to create shiny and memorable experiences. But don’t just take our word for it. Take a look at what our customers say about us. Go and explore! 15) Feeling good. A great customer experience starts with your employees. Realizing this critical connection, you’ll also understand the importance of workplace culture. Focus on your workforce, add a little human touch, provide modern tools for internal and external communication, and be all ears. Companies sink or swim based on their culture. Go and swim, make every day a happy day! You deserve a great intranet because great communication produces a great workplace. At our superb Valo Intranet Team, we do our best everyday because we love what we do, and because nothing great was ever built that didn’t start with a great communication. The ownership of communication and collaboration needs to extend to injecting employee experience into the thinking of every one of your employees, regardless of role. Let us help you. Still wondering? To find out more, see our frequently asked questions. Or download our eBook and jump into the world of modern intranets where great communication produces great collaboration.